You are here: Home / Uncategorized / A study to prevent falls in older adults in the U.S.
A study to prevent falls in older adults in the U.S. 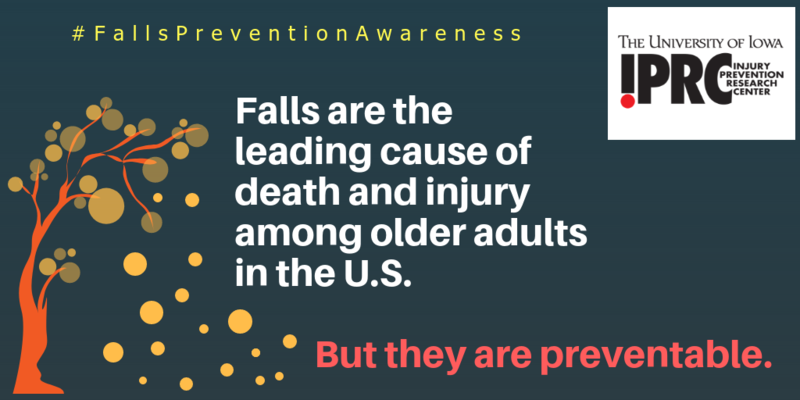 According to the CDC, every 20 minutes an older adult dies from a fall in the U.S, and many more are injured. Falls among older adults are not only common and costly – they are preventable. The UI IPRC is very active in older adult falls prevention efforts in Iowa and nationally. With its partner, a Des Moines-based subsidiary of Mercy Health Network – Mercy Accountable Care Organization (ACO) – the UI is participating in the five-year STRIDE Study as one of 10 clinical trial research sites around the U.S. Led by Brigham and Women’s Hospital at Harvard University, the study involves over 5,400 older adults (aged 70 and older) and evaluates the effectiveness of evidenced-based falls prevention strategies through individually tailored falls care plans implemented through healthcare systems. Read about the UI-Mercy collaboration in the STRIDE Study in Iowa Now. 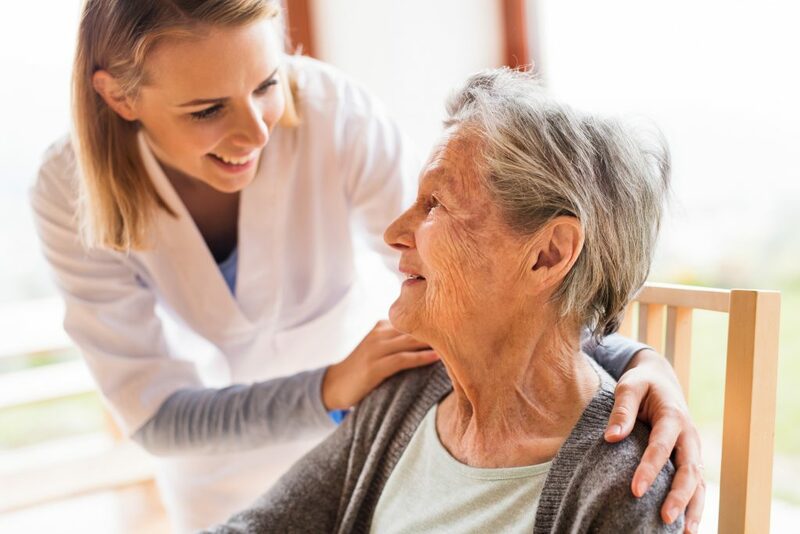 In STRIDE (Strategies to Reduce Injuries and Develop Confidence in Elders), a trained falls care manager assesses older adults for their risk for falling, such as vision problems, medications that may increase falls risk, and hazards at home (i.e., uneven steps and throw rugs). The falls care manager works with the healthcare team, the older adults, and the families to mitigate these risks. In Iowa, falls are the leading cause of injury deaths for those at least 65 years of age, and such deaths are increasing in the state. The UI partnered with Mercy ACO and Mercy clinics because of their special interest in falls, and their clinics met STRIDE study priorities of serving rural and urban communities and providing care to many older patients. The UI received a portion of the $30 million STRIDE grant awarded by the National Institutes on Aging and PCORI. Around 360 Iowans are participating in study, led by Robert Wallace, a UI professor of epidemiology and UI IPRC collaborator. Results from the STRIDE Study are expected in late 2019 or early 2020. Besides death and injuries, falls can lead to further falls and/or having less confidence and a fear of falling, causing older adults to limit activities or become socially isolated. According to the CDC, medical costs for falls in the U.S. totaled $50 billion in 2015, with Medicare and Medicaid shouldering 75% of these costs. The UI IPRC is also working with partners and stakeholders in the state on a study, led by Casteel and Professor Sato Ashida from the UI Department of Community and Behavioral Health, to develop an infrastructure and protocols to refer older Iowans to falls prevention programs in several communities in Eastern Iowa. See CDC’s Important Facts about Falls. Read Iowa Falls Prevention Coalition policy brief: Falls in Iowa, 2018.